“Technology has been fundamental to our improved brand and business,” Ford product chief Derrick Kuzak said today. DETROIT -- Ford's growing reputation as a technology-driven brand is helping the automaker wring more money out of every car it sells, the automaker's vice president of product development, Derrick Kuzak, said today. 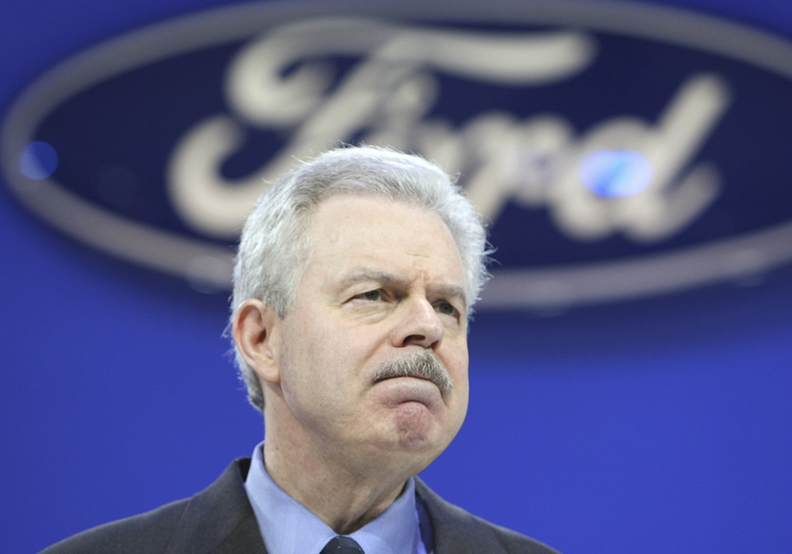 During a speech to an auto electronics show here, Kuzak said Ford's average revenue per vehicle jumped 14 percent from 2008 to 2009, to $26,100. He attributed roughly one-third of the increase to new technologies such as the Sync in-car communication system, which gives drivers hands-free ability to operate the media system and mobile devices. “Technology has been fundamental to our improved brand and business,” Kuzak said. Other reasons for the increase in revenue per vehicle, he said, are improved pricing and more customers opting for pricier trim levels. Kuzak said one-third of people who bought a Ford, Lincoln or Mercury said the Sync system helped sway their decision. He said Ford will continue to use technology as a differentiator -- including its new MyTouch system, which runs on the next generation of the Sync platform. MyTouch, now offered on the Ford Edge and Lincoln MKX crossovers, provides navigation, entertainment, Bluetooth and climate controls all connected through a touch screen. Kuzak said Ford plans to offer MyTouch on 80 percent of its vehicles within five years, including the 2012 Focus.